NBC’s menu will include a third course of “Hannibal” for the 2014-2015 season. The fate of the psychological thriller/horror series has been one of the hot topics in recent weeks among TV industry pundits. The reason for all the debate is the fact that the show is hardly a ratings juggernaut, residing on the proverbial “ratings bubble” during its two seasons on the air. The series features Dr. Hannibal Lecter, the star of multiple novels by Thomas Harris and played in multiple movies by Sir Anthony Hopkins, whose portrayal of Lecter in “The Silence of the Lambs” won him an Oscar. “Hannibal” features young versions of Lecter and FBI Special Agent Will Graham, who would later go on to become adversaries. Graham is given the assignment of investigating the disappearances of eight girls in Minnesota. Lecter, a forensic psychiatrist, is assigned to supervise Graham during the investigation. They are also tasked with apprehending a serial killer operating in the area. Lecter is, of course, a serial killer himself. This time around, Graham is played by Hugh Dancy and Lecter is portrayed by Mads Mikkelsen. There are a couple of key reasons why NBC finally decided to give “Hannibal” a third season. For starters, the series has the youngest audience of all dramas that air at 10 p.m. As has always been the case in the world of TV, young viewers are an incredibly valuable commodity to advertisers. Another key factor that played a large role in “Hannibal” being renewed is the fact that the Hannibal Lecter novels and movies have been smash hits around the world. This type of brand recognition for a character is very hard to come by, so NBC was not in a hurry to throw it away. 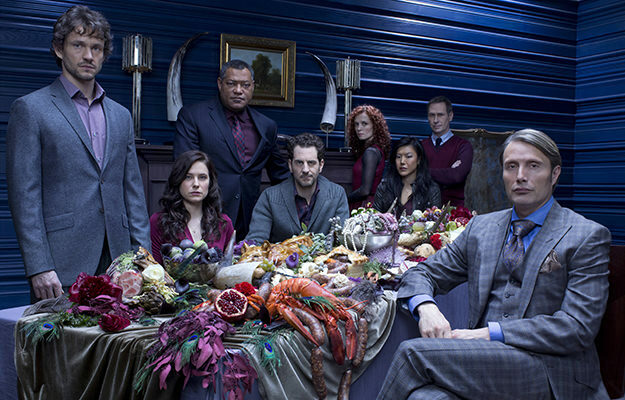 The fact that Hannibal Lecter is known around the world means that the show can easily be sold in foreign markets, generating lots of cash for the peacock network. One other thing that “Hannibal” had going in its favor is the fact that that show airs on Friday night, which is typically a night when ratings are low because people go out. Therefore, NBC was able to tolerate lower ratings than they would on a different night.